This is a deal which you run, not walk to. Norwegian flies nice new Boeing 787 Dreamliners between London Gatwick and Singapore, and offer a very comfortable “Premium Class” which is not quite flat bed business class, but far nicer than most premium economy cabins – and even includes airport lounge access! At the moment, you can book one way tickets in the Premium cabin starting at just £66 one way, or about £270 round trip. Here’s how to score this incredible deal, while it lasts! Update: sounds like this one may have finally fizzled out. Congrats to those who booked! Singapore is such a fun city, but it’s a bit of a trek from London. On the 24+ hour round trip journey, the little things like a wide, deeply reclining seat can make a world of difference. Add in the free booze, lounge access and other perks – and it’s a pretty great way to fly. Thanks to a tip from our favorite rockstar Antonio Lulic, we found out that on Norwegian’s Swedish version of their website (not the UK version) you can find one way flights from Singapore to London for just £66 one way. Going the other way, you can find one way flights for £176. Put the two together, and you’re round trip in Premium for under £300! This is an extremely generous sale from Norwegian, and it’s great to see them putting out exciting offers to gain extra business! These deals work for travel in this month – June, or next month, July. 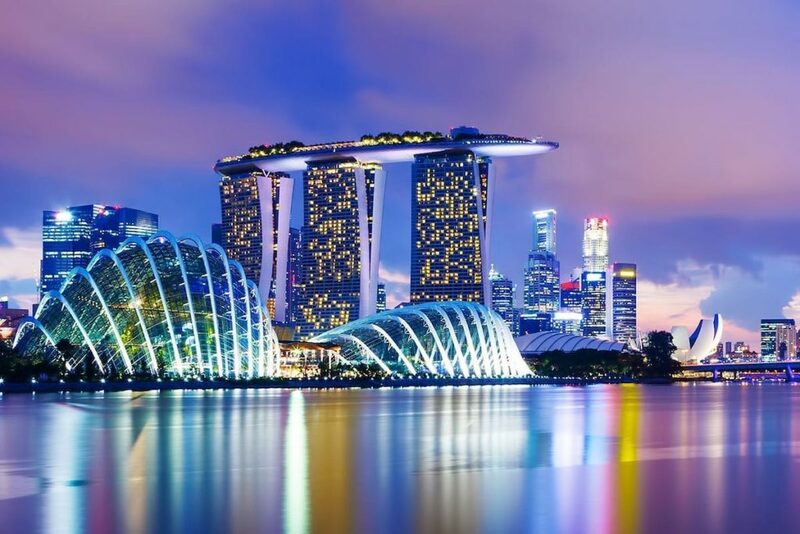 If you’re feeling like a last minute Singapore jaunt is just what you’ve been after, follow the steps below to become Swedish for a few minutes and look for prices of 778SEK from Singapore and 2,000SEK from London. Access the Norwegian Air site via their Swedish version. Google Chrome and Google Translate will be your friends here, unless you already speak Swedish. Enter a flight search from SIN to LGW or vice versa, ideally one way at a time. Look for dates from SIN to LGW for 778SEK, and roughly 2,000SEK for the London to Singapore leg. Of course, if you have points, you could use them to go one way and just book the super cheap 778SEK leg back to London. Search dates in June or July and book fast. We’d advise against making any nonrefundable travel plans for at least a couple days, until Norwegian confirms they’re still excited about this generous promotion they’re running. After that, go for it! Can you try searching again? Can’t find any dates. Maybe they are all gone (could anyone who booked please confirm they did). or possibly Norwegian rectified the fares in case there was an error? Of course, I may not have searched correctly, but I did follow everything as detailed above!